Some great tips in here! 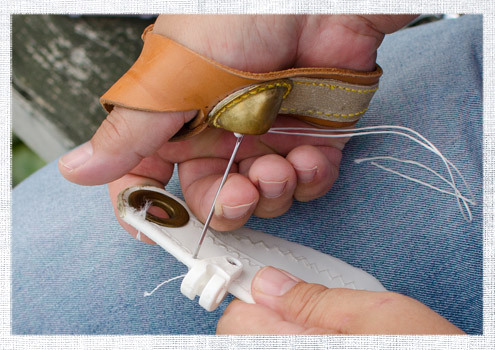 Hand sewing might not be every sailor’s go-to sewing method, but from time to time it makes a lot of sense. For example, if you need to repair heavy or cumbersome items, it might not be worth trying to maneuver them to your sewing machine. Or, for high stress applications, you might need to use a heavy twine rather than a thread, leaving hand sewing as your only option. For these, and all the other times you find yourself sewing by hand, we’re sharing five helpful tips to make hand sewing a little bit easier.